I especially like a To-Do list with lots of things crossed off. Here’s a quick and easy Spring cleaning To-Do list with items that can be done in 1 minute, 5 minute, or 10 minute sprints. Accomplish one item every time you’re on hold or when you’re waiting for your coffee to brew. Polish the sink and mirror in your bathroom. One minute and the entire room shines. Shake out your welcome mat and sweep your front porch. Makes the front of the house look nicer and keeps the inside cleaner longer – a twofer. Wipe down your front door using a multi-purpose spray and a cloth. You’ll be surprised how dirty it was. Throw away the old, expired, or empty containers in your refrigerator. Clean the surfaces in any room – remove clutter from one nightstand , kitchen counter, one dresser, or one coffee table. Put junk in the trash can and put everything else away. Wipe down the surface and instantly the room looks better. Sanitize your garbage can. I do the kitchen and bathroom cans in the shower at the same time – pour water and a small amount of bleach into each can. Use a toilet brush to wipe. Rinse and you’re good to go. Wipe a shelf in your refrigerator. Clean the inside and outside of your microwave. Declutter your kitchen cabinets. Donate unopened food that you don’t want, trash opened food that you don’t want, and donate doubles of pots or pans. Dust one room – don’t forget the tops of pictures, window frames, and door frames. Do this once a week and dusting won’t be a huge chore any more. 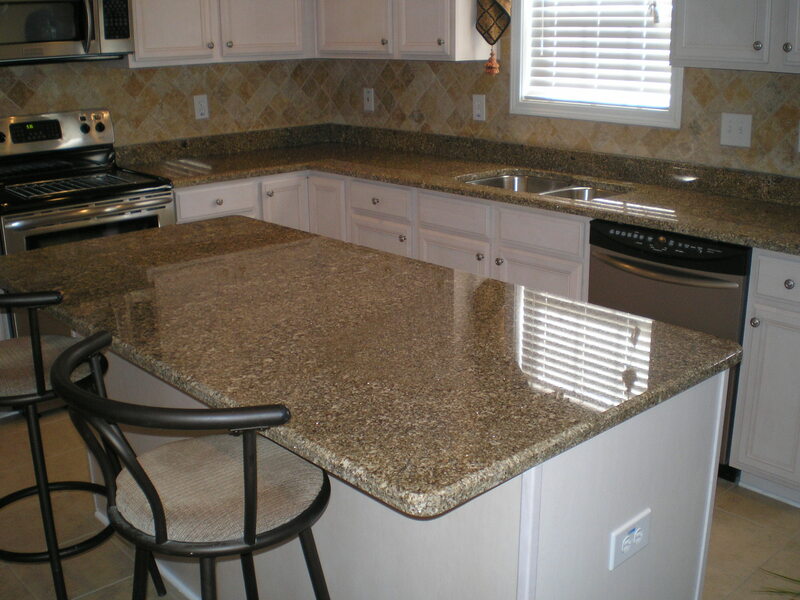 Wipe down the doors and handles of your kitchen cabinets and refrigerator. Use a multi-purpose spray and a cloth to polish the handles to a shine and get rid of any fingerprints on the surfaces. Clean your air ducts. You could use a fancy duster contraption for air ducts or you could use the attachments on your vacuum. Either way, you’re removing potential allergens from your indoor environment. 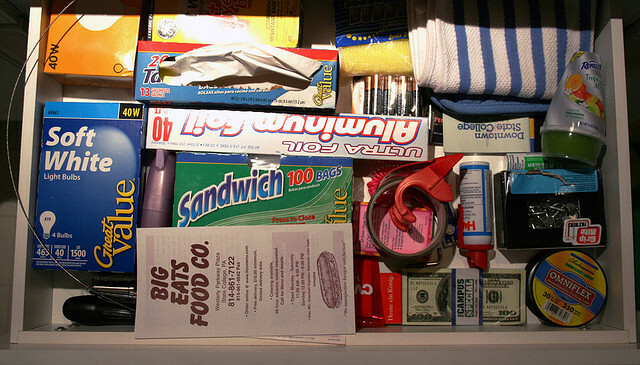 Clean a drawer in your kitchen, bathroom, or bedroom. Remove everything. Wipe it down, and then replace the things you want to keep neatly, throwing away the rest. Clean your medicine cabinet. Remove everything and wipe it down. Examine everything to separate what you want to keep from things that are expired or that you no longer use. Replace the keepers neatly. Got more time or a bigger mess? Try holding a garage sale. It’s a great way to get rid of things you’ve been holding on to for too long and make a little cash as well. Try one of these organization hacks. What are your favorite spring cleaning tricks?